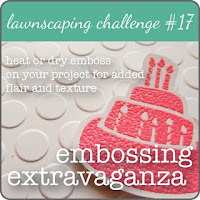 I created this one for the latest Lawnscaping Challenge which is embossing. 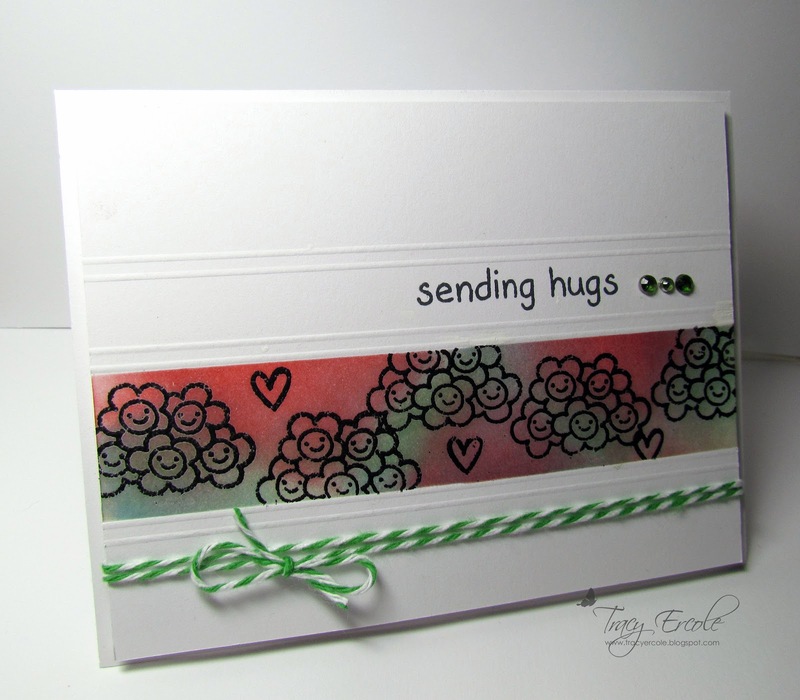 I heat embossed the flowers from the flowers and vase in the On The Mend Stamp Set, and the heart from the Cruising Through Life Stamp Set. 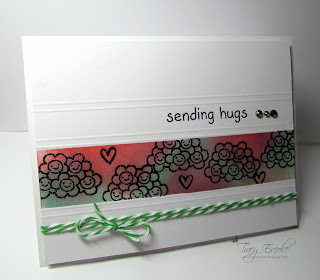 I used distress inks over the embossing after masking off the area. I did some scoring and added twine, rhinestones and added a sentiment from the On The Mend set. This is so cute! I love that you used just the flowers from On My Mend and nestled them in between the scored frame.... Adorable card! Thank you so much for joining us Lawnscaping gals!